Soon he came to detest Soviet oppression and in 1978 applied to emigrate. He first moved to Austria and then to Cologne, Germany, where he re-ignited his passion for musical instruction. 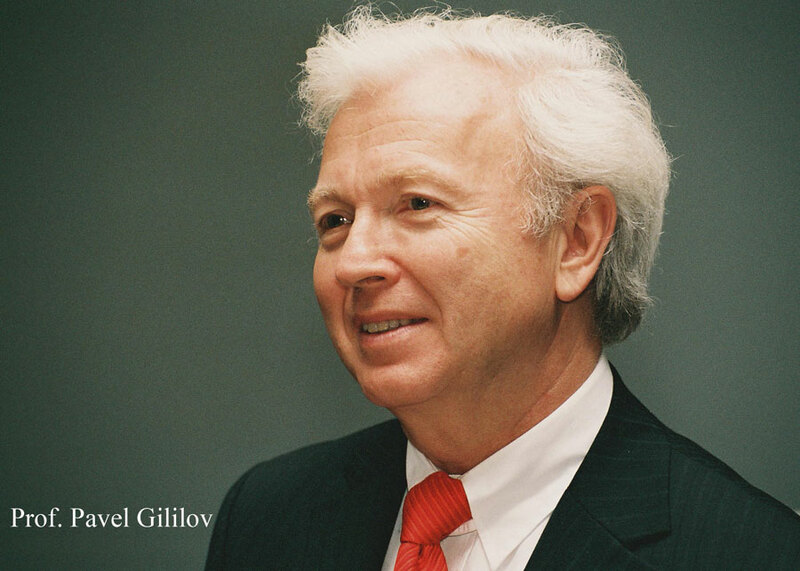 Soon after his arrival in the West, Gililov won top honors at the renowned Viotti competition in Vercelli, Italy. Thus began a new phase in his life as performer. Always in popular demand, he has appeared countless times both solo and with orchestras. He played with philharmonic orchestras from Leningrad (St. Petersburg), Moscow and Warsaw; with the Polish Broadcast Orchestra, the Philharmonia Hungarica, the Vienna Symphony, the Netherlands Philharmonic Orchestra, the Berlin Philharmonic Chamber Orchestra, Cologne’s Gürzenich Orchestra, RAI- Turin, the Irish National Orchestra and the Detroit Chamber Orchestra. He has worked with such renowned conductors as L. Foster, A. Jansons, V. Gergiev and J. Conlon. In his musical travels Gililov has visited many of the world’s cultural centers, playing in the Berlin Philharmonic, the Alte Oper in Frankfurt, Vienna’s Musikverein, La Scala in Milan, Madrid’s Teatro Real, the Palao de la Musica in Barcelona, the Concertgebouw in Amsterdam, Zurich’s Tonhalle, the Palais de Beaux-Art in Brussels, the Teatro Cologne in Buenos Aires and countless others. Pavel Gililov’s recording career includes albums and CDs for Deutsche Grammophon, RCA Victor, Toshiba EMI, Virgin and Orfeo to name a few. His discography provides a mere sampling of the wide-ranging talents of this versatile and vastly accomplished musician. He is also an honored guest at major festivals such as Edinburgh, Newport, Schleswig Holstein and Rheingau; at the Salzburg and Ludwigsburg Festivals and many more. He enthusiastically pursues projects with contemporary composers and has premiered many of their works. In addition to his solo concerts, he is a lover of chamber music. Along with his schoolmate and friend, the late Boris Pergamenschikow, he created a duo that gained international renown. He also founded the Gililov Piano Quartet (formerly the Philharmonic Piano Quartet Berlin). Despite his hectic concert schedule, he continues to guide and instruct promising young musicians. He is a Professor at the Cologne University for Music and Dance, and at the Mozarteum in Salzburg where he has instructed a long list of international award-winning musicians. Many of these have gone on to stellar careers. Pavel Gililov travels the world giving masterclasses to young pianists and for years has supervised the Summer Academy in Lausanne. In addition, he is a jury member in many international competitions.